First things first: let’s take a look at your wedding stationery. Your ‘Save the Dates’ and invitations are the first glimpse of your gorgeous day that your guests will get. Of course you want it to look perfect, but you also want it to reflect your theme and style. So if you love the thought of using birds and birdcages, incorporate pretty illustrations into your stationery. Watercolour bird motifs and vintage-inspired birdcage details will look delightful. 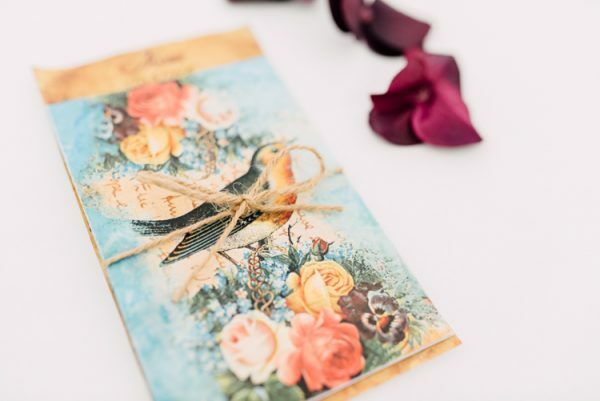 If you’ve fallen in love with the idea of bird-inspired wedding stationery, you could keep the same design throughout your big day. It would work beautifully for your table plan, menu and wedding programs. 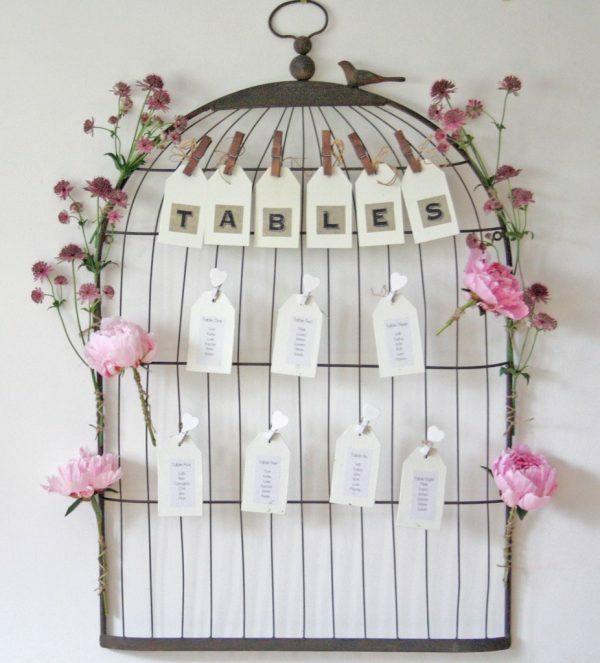 Alternatively, our Vintage Birdcage Table Plan will add a vintage touch to your wedding day. Adorn it with flowers or foliage and it will look oh-so-pretty. 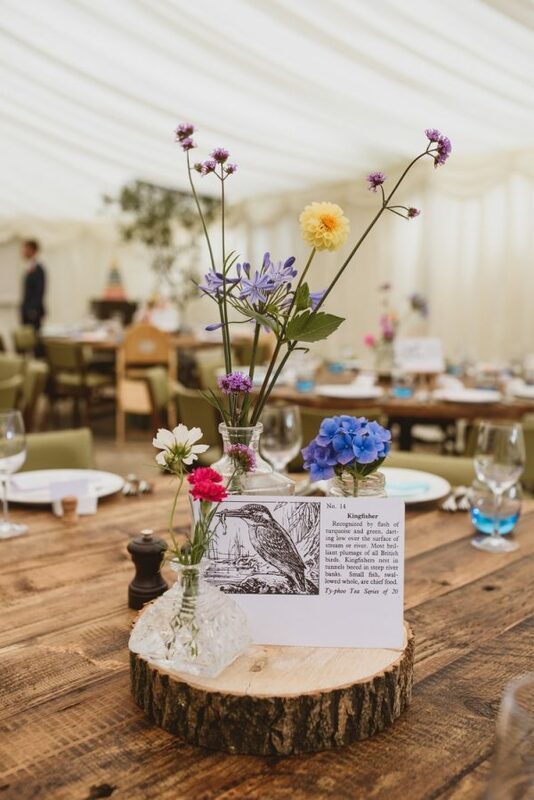 Why not name your wedding tables after your favourite birds? You could also include hand-drawn illustrations and a cute fact about each bird. This is a unique idea that your guests will adore! When it comes to decorating your reception tables, you really are spoilt for choice! 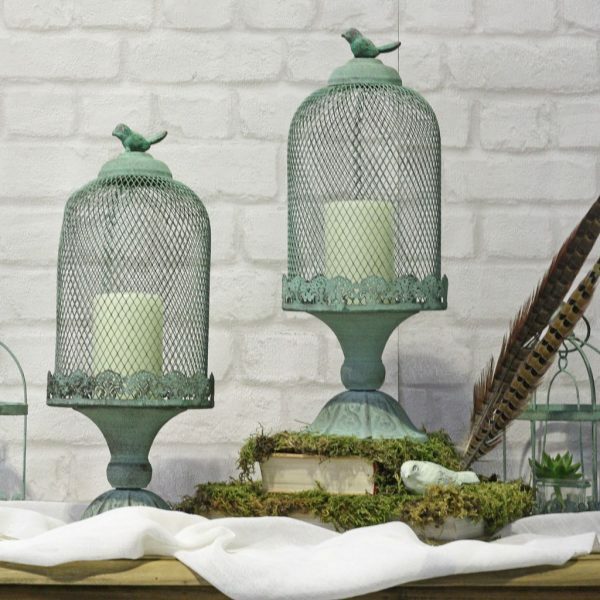 Our Mint Green Birdcage Centrepieces will give your tables a touch of country garden elegance. They look beautiful brimming with blooms, greenery or candles – especially if you’re dreaming of a Spring or Summer wedding. 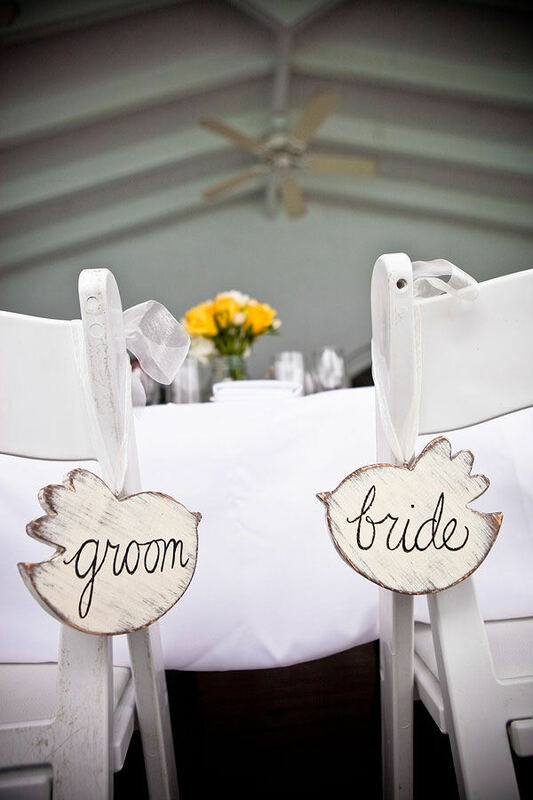 We adore the idea of lovebird ‘Bride’ and ‘Groom’ signs to hang over the back of your chair. Plus, you’ll be able to keep them after your special day as something you can treasure forever. Little wooden birds with your guests’ name written on them can also make sweet wedding favours, as well as place settings. While vintage birdcages make fabulous table centrepieces, they can also be used in a number of different ways throughout your wedding venue. 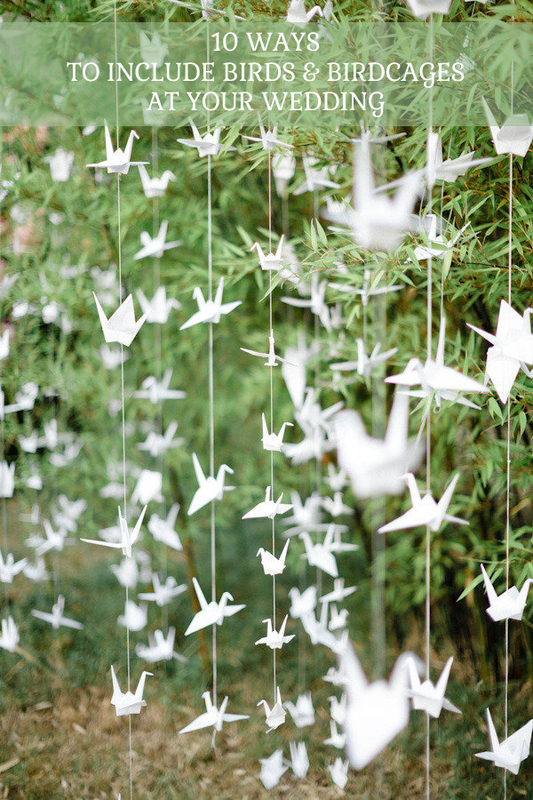 You could hang them from the trees or you could fill them with lanterns and dot them around your venue. However, they’re also a wonderful way of collecting your wedding cards and gifts. 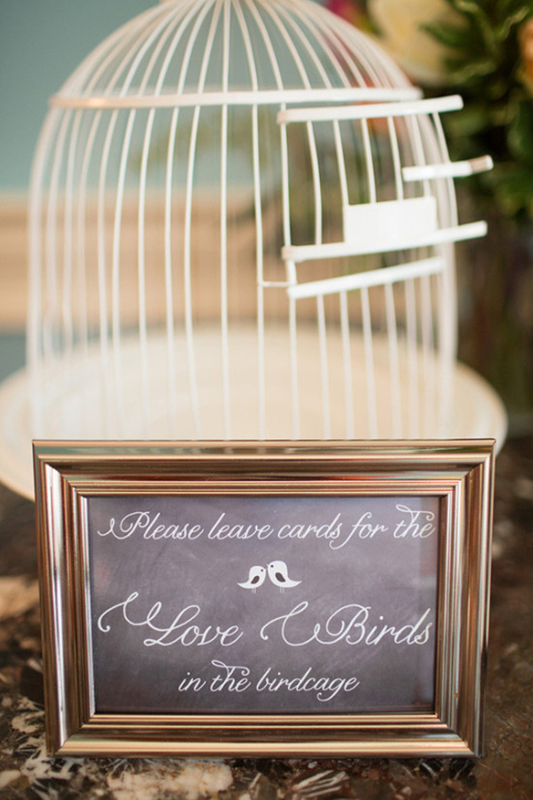 Place a cute sign against your birdcage, so your guests know where they can place their cards. 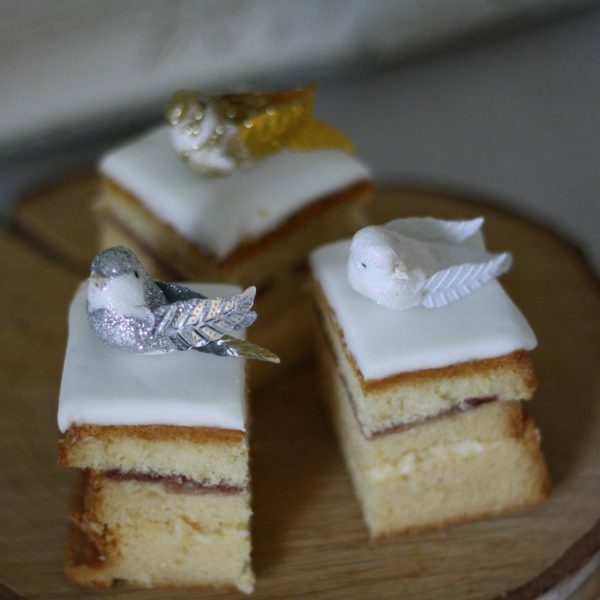 Our Silver Lovebird Cake Toppers look wonderful perched on top of your wedding cake or on tasty cupcakes. They’re a subtle nod towards your beautiful bird-inspired wedding theme and an alternative to a traditional wedding cake topper. While we’re on the subject of wedding cakes, let’s take a look at some icing inspiration! From hand-painted illustrations to elaborate icing, there are heaps of ways to include birds and birdcages as part of your wedding cake. 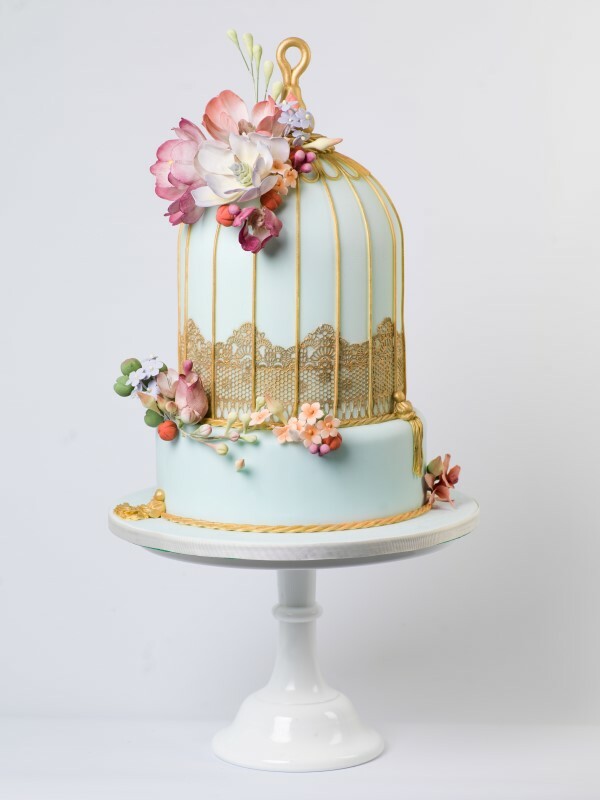 Hand-painted cakes are going to be adored by brides in 2017, but we couldn’t resist including this beautiful birdcage design. Stuck for ideas when it comes to your wedding decor? Don’t fret – we’ve got it covered. Couples are loving the thought of floral or feather backdrops, but have you ever considered creating an origami swan backdrop? This can be a fun DIY task for you and your bridesmaids to create ahead of the big day, and it suits any style or colour scheme. For absolute elegance, opt for white paper. However, use a range of rainbow-inspired shades for a colourful and vibrant backdrop. The choice is yours! Learn how to make these here. 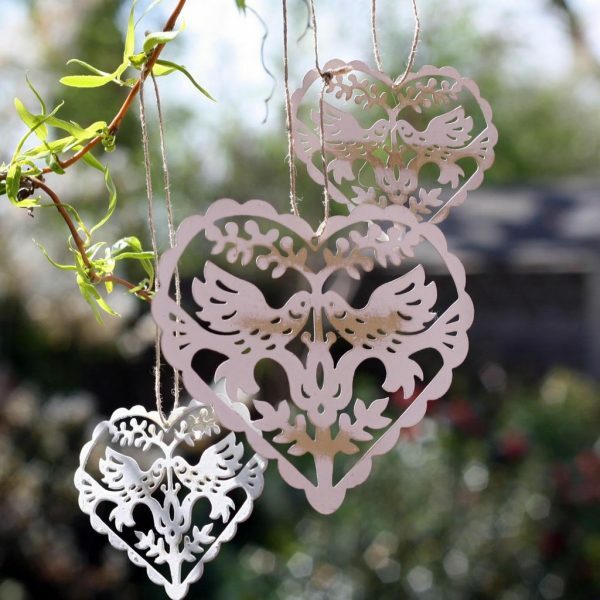 Alternatively, we’ve done all the hard work for you with our Vintage Style Hanging Lovebirds! This ultra-pretty decoration will look beautiful hung in your ceremony space, around your reception or from the trees. You could even use them as sweet wedding favours or chair covers. However you choose to use them at your special day, they’re a fabulous finishing touch for a vintage or country garden wedding day. Love the thought of using birds and birdcages at your wedding? So do we! You’re guaranteed to create an unforgettable wedding day that’s utterly elegant.